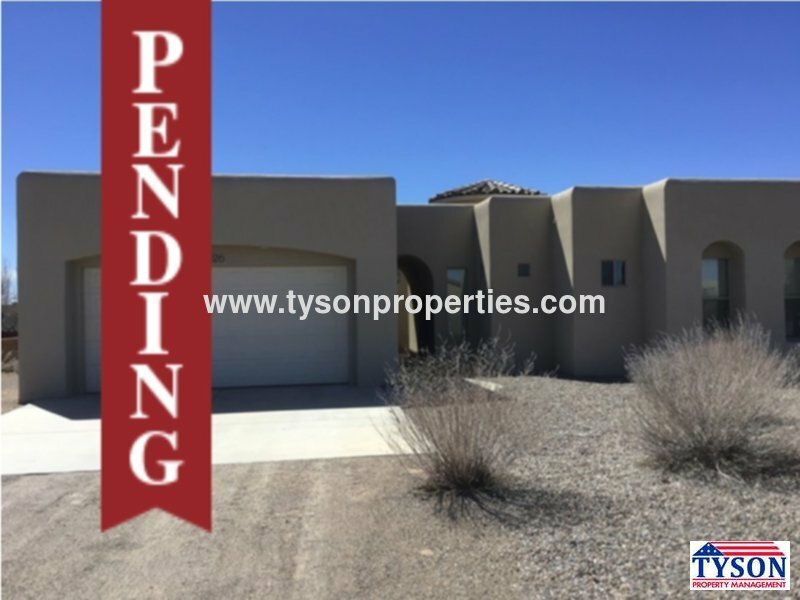 Residential Rental Listing 4 bed 3.5 bath in Rio Rancho, NM. Custom Home with Mountain Views in Rio Rancho! custom home with mountain views in rio rancho! This grand spacious home is located in Northern Rio Rancho off 528 and Indalia. Once inside this home there is a front room available with ample windows to allow for natural lighting to illuminate the home and a built in display shelving for entertainment or decor. From the living room there is a kitchen that includes major appliances such as a built in dishwasher, and a separate oven and stove top (No Refrigerator) . There is a guest bath towards the front of the home, three spacious guest bedrooms, a full guest bathroom, and a large master bedroom with a master bathroom. The Master Bedroom has a walk in closet and the master bathroom has a separate garden tub and shower. Onsite laundry is available though washer and dryer units are not included. The exterior of the home has stunning mountain views with a large and unique covered patio that features an outdoor fireplace! This home also includes a two car garage.